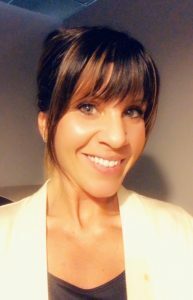 CHARLESTON, W.Va. — Adding another talented professional to its small but eclectic staff, the West Virginia Press Association has named Betsy DeBord assistant executive director. An associate with the Charleston accounting firm of Smith, Cochran & Hicks, PLLC, since 2006, DeBord handled WVPA accounting for the last six years for and, during that period, also assisted with restructuring the press association’s business operations. WVPA Executive Director Don Smith said the press association was very excited to add DeBord to the staff. “As our outside accountant for the last six years, Betsy has been invaluable to the press association and a key part of our operational development. When we looked at restructuring our staff and operation to handle expanding business opportunities and new industry challenges, we were delighted Betsy saw a chance for professional growth at WV Press and realized her skills would help increase our business expansion and our efficiency,” Smith said. At WVPA, DeBord will continue handling the association’s accounting and also work with Advertising Director Toni Heady, Office Manager Dalton Walker, Membership Coordinator Jack Cipoletti and Graphic Design Coordinator Brenda Pinnell. DeBord said her experience working with WVPA made the decision easy. With Smith, Cochran & Hicks, in addition to client accounting services, DeBord served as the firm’s lead examiner, conducting market conduct examinations of self-insured organizations for the State of West Virginia. Along with accounting experience, Smith said DeBord brings experience with association operations, government relations, public outreach and video production. From 2012 to 2017, DeBord served as outreach coordinator for the Mountaineer Energy Forum — an outreach group for American Petroleum Institute — working on public education efforts for the oil and gas industry at the local, state and national level. She worked with Vets4Energy to assist veterans in finding training and employment in the oil and gas industry upon leaving the military; and to set up STEM camps for children and to create projects relevant to the oil and gas industry for presentation at schools and summer camps. In terms of representing the newspaper industry, Smith said DeBord has experience. DeBord has a Master of Science in Accountancy and a Master of Business Administration. She also has a Bachelor of Science in Biology from West Virginia University Institute of Technology. She resides in Paradise, WV, with her fiancé, Aaron Settle, and son, Aidan. A true animal lover, DeBord has three cats and three dogs, and in addition to her professional endeavors, she and her fiancé own and operate Stumpy Creek Farms comprised of chickens, cows, and the resident ground hog, Franklin. When she’s not in the office or with her animals on the farm DeBord enjoys engaging in community involvement. Some of her projects include volunteering at the animal shelter, working with women’s support groups, promoting veteran visibility, and participating in charity races to support a number of causes.